It is relatively common knowledge that I have a soft spot for the western genre. Times seem to have simpler then, you could carry a lever action rifle anywhere, wear a cowboy hat and not look ridiculous... The possibilities were endless. Alright, I concede that this is a pretty romantic view of this period of Americana considering the odds of dying from such things as anthrax, smallpox or diphtheria were quite high. Of course, this film is an amalgam, it is a western heavy on the science fiction elements, hence the "aliens" in the title. The film revolves around an alien species that arrives on Earth to mine gold and study our weaknesses before annihilating the human race. The reason for wanting the gold is never really explained, perhaps they wanted gold fillings for their teeth or they are going to base their economic system on gold (They could have been Capitalists!). At the very least, this is commodity is as precious to them as it is to humans. Once they started stealing folk's kin though, they ticked off the wrong hombre, Colonel Dolarhyde (Harrison Ford). Through a series of circumstances, Jake Lonergan (Daniel Craig), noted criminal and amnesiac joins to rid the world of this scourge but also hopefully retrieve his elusive memory. 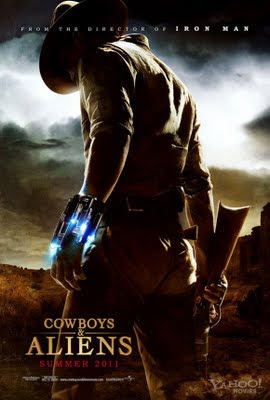 From a critical standpoint, this film was what it was... A movie with cowboys and aliens. I think that many of the critics condemned it for being simple but (honestly) what else could you do with this premise. Personally, I think that the viewer has to look outside of the plot and more at the acting. Harrison Ford and Daniel Craig do a wonderful job in their roles, as did Adam Beach in a supporting capacity. However, Olivia Wilde, while easy on the eyes did nothing more than look like a doe caught in the headlights of a car. Also, outside of There Will Be Blood, Paul Dano is a worse actor than I am. If he never was allowed to make another film, I would not shed a tear. I thought the film was decent entertainment for what it was. For those expecting Shakespeare, you will have to look elsewhere but it was an ok popcorn flick. 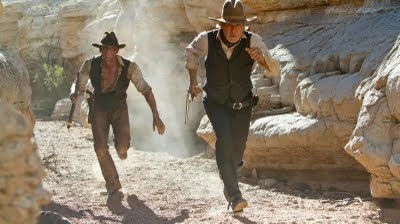 I was concerned that it might turn out like Wild Wild West or other concept westerns, yet it those fears were allayed. It certainly did not break ground in either of the genres that it made use of and the western elements have been seen time and time again elsewhere (and were better). 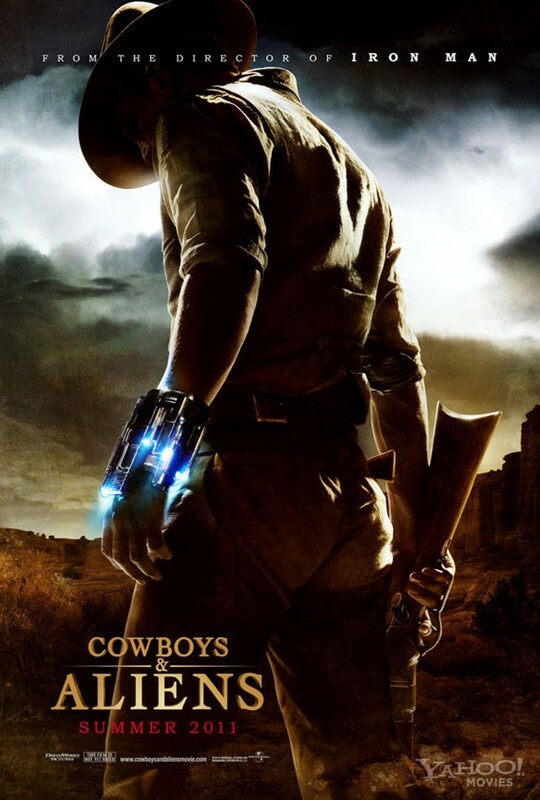 Like I said, Cowboys and Aliens was what it was... A movie with cowboys and aliens.